As a retailer, your goal of providing the right products, at the right price, to the right people may not always be executed as you planned. While you may have the best intentions, your long list of daily activities can be overwhelming and may cloud your overall plan. In order to meet your customers' needs, it is important to conduct regular retail store evaluations. An objective assessment of your retail outlet can help you measure whether or not your customers' expectations are being met and whether or not you need to make changes to your operation. As a business owner, it's easy to get mired down in the details and not "see the forest for the trees." The primary reason you need to conduct a retail store evaluation is that you need to view the store through the eyes of your customers. Identify areas that are not working as well as you envisioned. Learning how your store compares to other similar retail stops. Being able to examine consumer buying behaviors. Increasing your sales volume and margins. 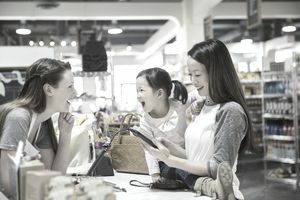 When creating a list of questions for store evaluations, objectivity and neutrality are the key points to keep in mind. Evaluations can be performed by a mystery shopper service or you can conduct your own store assessment, or you can do both. You should also consider encouraging staff to participate in the assessment and be sure to solicit customer feedback in the form of store opinion surveys, which can be posted online. Feel free to use all of the following questions to conduct a thorough and comprehensive store analysis or you can choose those areas that you think need investigation. Is the store conveniently located? Are the store hours convenient for the customer’s shopping needs? Is the parking lot and sidewalk clean and well-lit? Are there miscellaneous fliers posted on the storefront? Do signs convey the correct image? Can the business be easily identified from the road? Is the store atmosphere and décor appealing to consumers? Is the floor free of debris and does it appear clean? Are all light fixtures working properly? Does the store appear well-lit? Are interior signs consistent with the font and color on the outside of the store? Does the store look like it's full of inventory? Are customers greeted by a member of the staff upon entering the store? Are employees easily identifiable by either uniforms or name tags? Do employees seem knowledgeable about the products they're selling? Do employees handle customer complaints, returns, and other customer service issues directly and promptly without incident? Do employees consistently treat customers with courtesy and respect? Are products well identified and labeled with prices? Is there a good variety and selection of products? Are the prices competitive with other retailers in the area? Is the quality of merchandise the highest available for the price? Does the store layout make it easy for customers to navigate? Is each department in the store clearly defined? Are the aisles wide enough and free of boxes and clutter?